The average price for this game in the past 6 months is $22.70. The game first became 50% off on Oct 4, 2018 at GameFly. 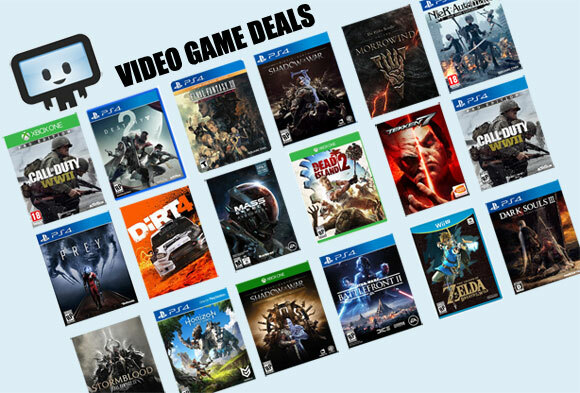 Lowest historic price was $14.99 on Oct 20, 2018 at GameFly. GameFly has the PS4 copy of Dark Souls Remastered for only $25. While the PC/Steam port is a bit on the mixed side for reviews, PS4 owners are in for a treat. Only $25 for the like-new copy from Gamefly with free shipping. Console version of Dark Souls Remastered dropped to $30 this week at Best Buy, making one of the first significant price drops we've seen thus far. If you’re a fan of the franchise, or haven’t played the notoriously-hard adventure before, be sure to check this out. The average price for this game in the past 6 months is $17.49. The game first became 50% off on Oct 4, 2018 at GameFly. Lowest historic price was $14.99 on Dec 5, 2018 at GameFly. Nintendo Switch version of Dark Souls Remastered dropped to $26.96 this week at Walmart. If you’re a fan of the franchise, or haven’t played the notoriously-hard adventure before, be sure to check this out. The average price for this game in the past 6 months is $35.49. Lowest historic price was $34.69 on Aug 20, 2018 at IndieGala. New historic low price on May's release of Dark Souls Remastered Steam copy for the PC. Reviews have been a bit mixed for this edition - though it was mostly due to Bandai's switcheroo by replacing the Prepare to Die Edition with Remastered Edition. If you own the original Dark Souls, stay away. If not, this is a great pick-up, especially for the better multiplayer. The average price for this game since released is $12.76. The game first became 50% off on Oct 29, 2012 at Amazon. Lowest historic price was $4.60 on Oct 2, 2015 at DLGamer. Dark Souls: Prepare to Die Edition down to $4.60 today at DLGamer. Technically a new low by $0.39 and an impressive 77% off the usual $19.99 MSRP. Dark Souls: Prepare to Die Edition ties its all time low of $5 today at GamersGate. Very decent 75% off the usual $20 MSRP. Dark Souls: Prepare to Die Edition dropped to five bucks today at Games Republic. Ties the lowest price ever and is 75% off the usual $20. Dark Souls 1 slashed to a mere five bucks at Amazon today. Ties the lowest price ever for the PC Download, and 75% off the usual $20. Impressive PC Download deal at GameStop on Dark Souls: Prepare to Die Edition. Normally a $20 purchase, now only $6.79. Rare 66% off. The average price for this game since released is $30.07. The game first became 50% off on Apr 4, 2012 at eBay. Lowest historic price was $12.99 on Sep 9, 2014 at GameFly. New low price for Dark Souls on PS3 at Kmart. Free store pickup or $5 shipping to home. Amazon also dropped their price from $57 from $50. Elsewhere $53. The average price for this game since released is $32.46. The game first became 50% off on Jul 25, 2012 at NewEgg. Lowest historic price was $9.99 on Aug 14, 2014 at GameFly. Available again and matches previous lowest price of $15 back in earlier November. Dark Souls is one of hundreds of Cyber Monday deals at Newegg. New low on Dark Souls for the Xbox 360 and PS3 at NewEgg. Cheapest ever by $5 and $8 off the next best price online of $23. Considering the good reviews on this game I might just have to try it out at this price. Dark Souls for the Xbox 360 is now only $27.99. Great price for an excellent game that was release late Oct of last year. While the RPG is slightly frustrating to play, this spiritual successor to Demon's Soul should be well received by fans. Now lowest ever, usually around $37. The successor to the 2009 action-RPG video game Demon's Souls, Dark Souls will be released in October 2011 to bring tension and fear. Players will take on more enemies in this open world environment, full of dungeon exploring and battles using upgradeable weapons and abilities. The game features new classes, more enemies, and new multiplayer modes such as PvP and a new co-op system.